How to Cultivate the Paradoxical Art of Spontaneity Through the Chinese Concept of Wu-Wei. “The best way to get approval is not to need it,” Hugh MacLeod memorably counseled. We now know that perfectionism kills creativity and excessive goal-setting limits our success rather than begetting it — all different manifestations of the same deeper paradox of the human condition, at once disconcerting and comforting, which Edward Slingerland, professor of Asian Studies and Embodied Cognition at the University of British Columbia and a renowned scholar of Chinese thought, explores in Trying Not to Try: The Art and Science of Spontaneity (public library |IndieBound). The motive force — measured by each player’s electrodes, and conveyed to the ball by a magnet hidden underneath the table—is the combination of alpha and theta waves produced by the brain when it’s relaxed: the more alpha and theta waves you produce, the more force you mentally exert on the ball. Essentially, Mindball is a contest of who can be the most calm. It’s fun to watch. The players visibly struggle to relax, closing their eyes, breathing deeply, adopting vaguely yogic postures. The panic they begin to feel as the ball approaches their end of the table is usually balanced out by the overeagerness of their opponent, both players alternately losing their cool as the big metal ball rolls back and forth. You couldn’t wish for a better, more condensed illustration of how difficult it is to try not to try. Our excessive focus in the modern world on the power of conscious thought and the benefits of willpower and self-control causes us to overlook the pervasive importance of what might be called “body thinking”: tacit, fast, and semiautomatic behavior that flows from the unconscious with little or no conscious interference. The result is that we too often devote ourselves to pushing harder or moving faster in areas of our life where effort and striving are, in fact, profoundly counterproductive. 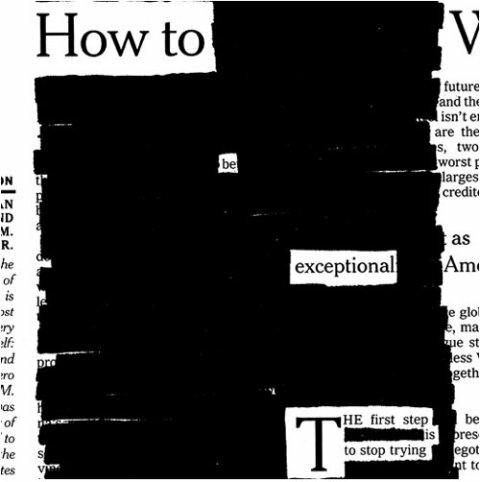 Art by Austin Kleon from ‘Show Your Work.’ Click image for more. Wu-wei literally translates as “no trying” or “no doing,” but it’s not at all about dull inaction. In fact, it refers to the dynamic, effortless, and unselfconscious state of mind of a person who is optimally active and effective. People in wu-wei feel as if they are doing nothing, while at the same time they might be creating a brilliant work of art, smoothly negotiating a complex social situation, or even bringing the entire world into harmonious order. For a person in wu-wei, proper and effective conduct follows as automatically as the body gives in to the seductive rhythm of a song. This state of harmony is both complex and holistic, involving as it does the integration of the body, the emotions, and the mind. If we have to translate it, wu-wei is probably best rendered as something like “effortless action” or “spontaneous action.” Being inwu-wei is relaxing and enjoyable, but in a deeply rewarding way that distinguishes it from cruder or more mundane pleasures. People who are in wu-wei have de typically translated as “virtue,” “power,” or “charismatic power.” de is radiance that others can detect, and it serves as an outward signal that one is in wu-wei. decomes in handy in a variety of ways. For rulers and others involved in political life, de has a powerful, seemingly magical effect on those around them, allowing them to spread political order in an instantaneous fashion. They don’t have to issue threats or offer rewards, because people simply want to obey them… If you havede, people like you, trust you, and are relaxed around you. If this too sounds familiar, it might be because it sounds like precisely what David Foster Wallace described in what’s easily the best definition of leadership ever articulated. For the early Chinese thinkers … the culmination of knowledge is understood, not in terms of grasping a set of abstract principles, but rather as entering a state of wu-wei. The goal is to acquire the ability to move through the physical and social world in a manner that is completely spontaneous and yet fully in harmony with the proper order of the natural and human worlds (the Dao or “Way”). Because of this focus on knowing how rather than knowing this orthat, the Chinese tradition has spent a great deal of energy over the past two thousand years exploring the interior, psychological feel of wu-wei, worrying about the paradox at the heart of it, and developing a variety of behavioral techniques to get around it. The ideal person in early China is more like a well-trained athlete or cultivated artist than a dispassionate cost-benefit analyzer. The ideal person in Western philosophy is not only disembodied but also radically alone. In reality, we are not autonomous, self-sufficient, purely rational individuals but emotional pack animals, intimately dependent on other human beings at every stage of our lives. We get along, not because we’re good at calculating costs and benefits, but because we are emotionally bound to our immediate family and friends and have been trained to adopt a set of values that allows us to cooperate spontaneously with others in our society. These shared values are the glue that holds together large-scale human groups, and a key feature of these values is that they need to be embraced sincerely and spontaneously — in an wu-wei fashion — to do their job. This is why the tensions surrounding wu-wei and de are linked to basic puzzles surrounding human cooperation, especially in the anonymous, large communities we tend to inhabit today. We have been taught to believe that the best way to achieve our goals is to reason about them carefully and strive consciously to reach them. 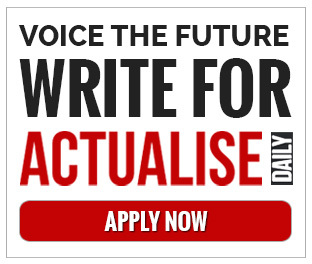 Unfortunately, in many areas of life this is terrible advice. Many desirable states — happiness, attractiveness, spontaneity — are best pursued indirectly, and conscious thought and effortful striving can actually interfere with their attainment. 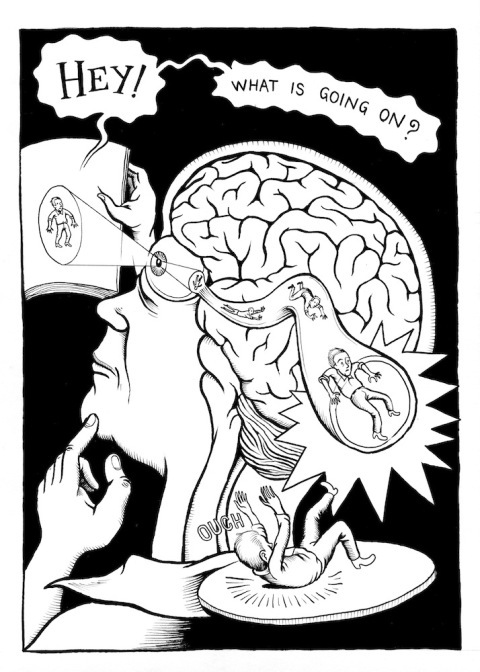 Page from ‘Neurocomic,’ a graphic novel about how the brain works. Click image for more. This isn’t because hot cognition doesn’t take future consequences into account. The problem is that this system’s conception of relevant consequences was fixed a long time ago, evolutionarily speaking, and is fairly rigid. 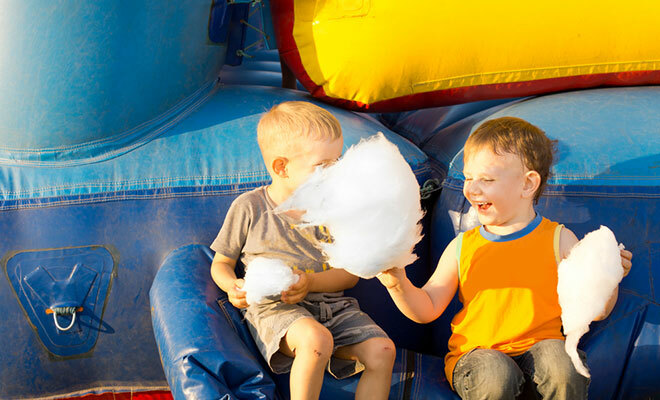 “Sugar and fat: good” was for most of our evolutionary history a great principle to live by, since acquiring adequate nutrition was a constant challenge. For those of us fortunate enough to live in the affluent industrialized world, however, sugar and fat are so widely and freely available that they no longer represent unqualified goods — on the contrary, allowing ourselves to indulge in them to excess has a variety of negative consequences. The great advantage of cold cognition is that it is capable of changing its priorities in light of new information. Civilization is about the triumph of cold cognition over hot. According to this view, the key to getting lots of strangers to work together is not to create an endless stream of new laws or institutions but to create a set of shared values. Laws are something you merely obey. Values are something you feel. Once internalized, values function just like other forms of hot cognition — fast, automatic, unconscious, wu-wei. Looked at this way, we can begin to see how the paradox of wu-wei emerges as a kind of natural consequence of our transition from hunter-gatherers to farmers and city dwellers. If you’re just using rewards and punishments — the rational, self-interested, cold-cognition strategy — it doesn’t matter what people feel on the inside. You set up the incentives, let people figure them out, and then judge them purely on their behavior. In the values model, on the other hand, what people are really feeling on the inside is crucial: if I can’t trust that you’re committed to the same ideals that I’m committed to, there’s no way we can work together. You can cultivate your sprouts: try to identify incipient tendencies of desirable behavior within you, and then nurture and expand them until they are strong enough to take over. Or you can just go with the flow: forget about trying, forget about not trying, and just let the values that you want to embrace pick you up and carry you along. 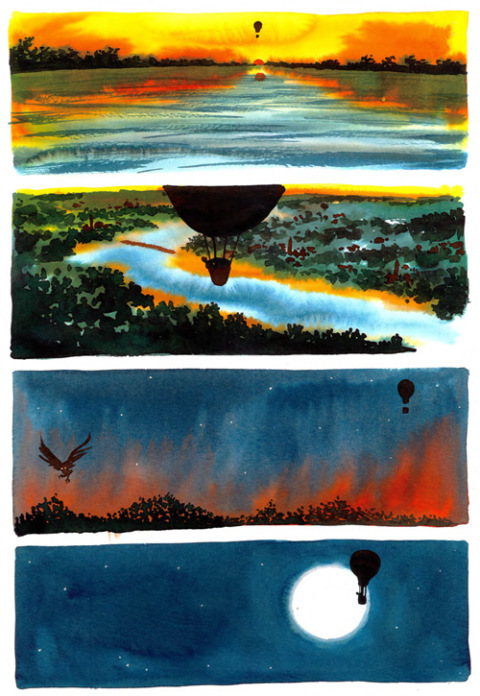 Illustration by Alessandro Sanna from ‘The River.’ Click image for more. A deeply ingrained moral disposition could become too rigid as you age, in which case you might need to shift to the sprout or letting-go approach. This has immediate, practical implications for how you go about arranging your daily life. The early Confucians put an enormous amount of effort into modifying their immediate aesthetic environment — clothes, colors, layout of living spaces, music — so that it would reflect the values of the Confucian Way. Although most of us no longer embrace the Way, we can use the same techniques to foster our own particular set of values. If you can set up your home and workplace, to the extent you have control over it, to reflect your tastes and values, the things that make you feel good and at home, you’re going to be better off. You’ll have morewu-wei and more de. The basic idea is simple. You choose a desirable model, then reshape your hot cognition to fit by immersing yourself in reminders and environmental cues. How this repetition eventually causes the new internal disposition to become sincere and self-activating is a bit of a mystery — intellectually, the paradox remains — but it seems to work in practice. A growing literature in the psychology of perception has demonstrated that, when it comes to certain difficult visual tasks — exercises where subjects are asked to locate a target shape in the midst of a large array—simply relaxing and letting the answer “pop out” works much better than actively trying. Similarly, when one is stymied by a problem, simply leaving it alone and doing something else is often the best way to solve it. Doing nothing allows your unconscious to take over, and, as we’ve seen, the unconscious is often better at solving certain types of particularly complex problems. The sort of knowledge that we rely on most heavily is hot, emotionally grounded “knowing how” rather than cold, dispassionate “knowing that.” We’re made for doing, not thinking. This has significant implications for everything from how we educate people to how we conduct public debates, make public policy decisions, and think about our personal relationships. Our modern conception of human excellence is too often impoverished, cold, and bloodless. Success does not always come from thinking more rigorously or striving harder. 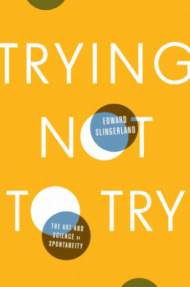 In the rest of Trying Not to Try, Slingerland further explores the social and spiritual dimensions of wu-wei, how to better cultivate them in our daily lives, and why spontaneity is central to our ability to trust, play, and love. Complement it with Oliver Burkeman on how over-planning limits our happiness and success and Alan Watts on why living with uncertainty is the secret to a full life. Maria Popova (born 1984) is a Bulgarian writer, blogger, and critic living in Brooklyn, New York. She is known for her blog BrainPickings.org, which features her writing on culture, books, and eclectic subjects off and on the Internet. Popova’s mother and father met in Russia when they were both foreign exchange students. Maria was born in Bulgaria soon after. Popova’s mother studied library science; her father studied engineering and eventually became an Apple salesman. During her childhood, Popova’s grandmother had a collection of encyclopedias and often read to her. Because of her grandmother’s influence, Popova was exposed to a vast amount of history and other varied knowledge at a young age, which fueled her curiosity of the world. Popova had her first job when she was about 8 years old making and selling martenitsas, woven white and red thread symbolizing peace and health. In Bulgaria, there is a March 1 ritual that includes wearing martenitsas; after March is over or until the first stork is seen, the thread can be taken off and tied to a blooming tree. During the time of this festival, Popova made martenitsas and set up a lemonade stand-esque shop on the street to sell them. Popova is most notable for Brain Pickings, a popular blog that began as a weekly email to seven of her friends. Now a website, Twitter feed and weekly digest, Brain Pickings covers a wide variety of cultural topics: history, current events, and images and texts from the past. It includes several sections: About, Support, Contact, Bookshelf, Newsletter, Literary Jukebox, Sounds, and Art, and includes graphics, photographs and illustrations in addition to written content. Yellow and black are the most prominent on her blog, as those are Popova’s favorite colors. As of December 2012, the blog was receiving 1.2 million visitors a month. Among its followers are William Gibson, Josh Groban, Drew Carey, David Eagleman, Mia Farrow, Biz Stone, and Evan Williams. Anne-Marie Slaughter describes Popova's blog as "like walking into the Museum of Modern Art and having somebody give you a customized, guided tour."